What kind of a web project do you run? Is it a business site or a personal web resource? MotoCMS 3.0 features a vast gallery of ready-made themes that are designed as per the latest web requirements. The templates differ in their visual presentation and business niches, however all of them have one thing in common - MotoCMS page builder. 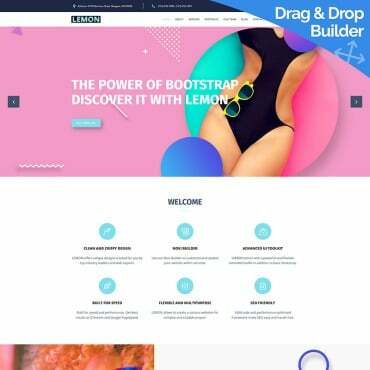 Below, we offer for your consideration the 10 best-selling MotoCMS 3.0 themes from TemplateMonster. All themes from the chart come with a 14-day free trial, so you can try how each of them works and looks from the inside before deciding whether any of them meet your business needs. The most pleasant thing about this showcase is that all templates listed below can be purchased at a 30% discount. Use the promo-code "Spectrum" to save big on any of them! The theme offers limitless possibilities for business site owners. 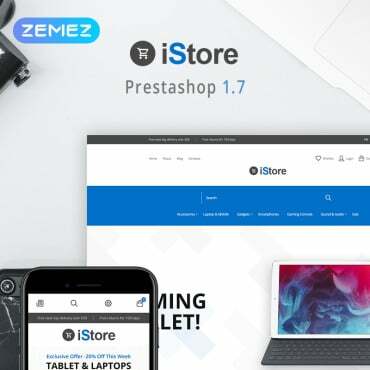 In addition to the integration of an intuitive drag-and-drop builder, the theme is highly responsive. You can customize the layout to fit any specific screen dimension via the admin panel. In addition to advanced customization options, 17 ready-made page templates, and lifetime updates, Spectrum includes 2 child themes. All owners of the theme can use any of them for free. Here is one more rock-solid foundation for business, finance and accounting sites. A neutral color scheme and clever use of whitespace make the theme's layout easy-to-navigate. Smart choice of fonts and balance of visual and written data provide for better readability of the template. 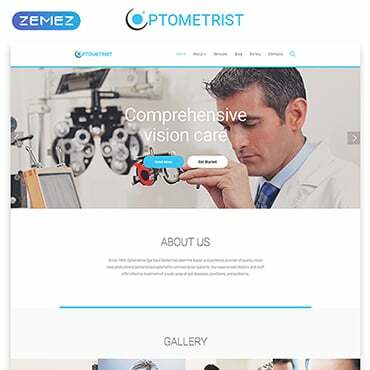 Clear and concise layout of this business theme is enhanced with lazy load effect. Beautiful animation provides for a better visual appeal of your web resource. The theme is optimized to handle content heavy web projects. Lazy load effect will fit for the purpose. As the name implied, the theme will perfectly fit for building online presentation of banks and other financial institutions. A professionally-built layout ensures trust and reliability. A well-balanced theme structure with clever content presentation makes is easy and intuitive to browse your pages. Clean and minimalist layout of this template was built with attention to details. Its header is enhanced with a sticky drop-down menu, letting people access all of your site's content with a click. Thanks to video support, you can deliver your message to the target audience more effectively. A customizable page-width carousel slider welcomes every visitor in. The content is organized into grids, letting you share loads of data in a quick-to-scan manner. The front page features a filterable gallery, which lets the users browse the data that is of the biggest interest to them. The theme looks clean yet radiant. Bold images featured in the backgrounds and photo galleries make the visual presentation of a business site more captivating. A block with user testimonials is intended to grow the reliability of your business project. Integrated Google map and easy-to-reach contact details are at the bottom of the theme. The theme looks smart and trendy. Polygon-styled backgrounds and the parallax scrolling effect bring more visual appeal to the theme. It is integrated with social media. Google map widget at the bottom of the front page reveals the shortest route to the physical location of your business. The theme is built in clean flat style. Whitespace and grid-based content positioning make the layout quick and easy to scan. The main navigation panel is fixed to the top of the page and supports drop-down functionality. This is the last but no less impressive business template on this list. The layout features a perfect balance of visual and written content. Clear content hierarchy and smart organization of content sections make it more readable. Grids enhance the theme's scannability.